If you’re jealously eyeing free shipping offers and wondering how to use them too—without erasing your profit margin—you’ve come to the right place. Reducing shipping costs absolutely increases sales. These days, customers have come to expect to be able buy an item and have it arrive on their doorstep free of charge. 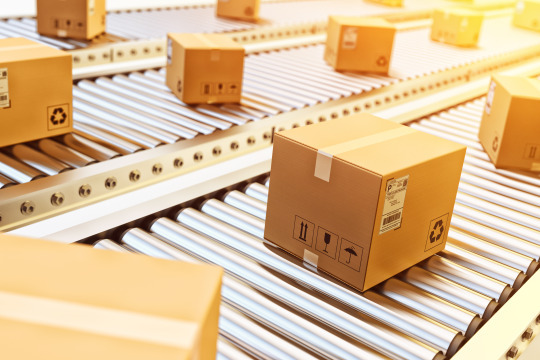 Operators of ecommerce platforms are quickly learning the efficient shipping is key to running a successful online business. Here’s what they figured out. To paraphrase a line from gangster movies, “Only suckers pay retail.” Shipping costs are negotiable. After all, even doing business at a reduced rate, the more you ship, the more they make. However, before calling on reps (always phone—email is ineffective at this), you’ll need to do some homework. Get a solid idea of the volume you anticipate each month, as well as where you tend to send things most often. You’ll also need to know the average size of your packages and what they typically weigh. Determine how quickly things should be shipped, your tracking and delivery confirmation requirements and insurance needs. If you’re doing business internationally, you’ll also want to be aware of tariffs and shipping taxes for each country into which you sell. Many carriers have a plethora of secondary charges they impose, such as fuel surcharges, signature fees, Saturday delivery fees and the like. Be sure to take these into consideration during your negotiations. Call around, get initial quotes from carriers, then play one against the others to get the lowest rate on the best service possible. Shipping companies have already done the math on the packaging they provide to handle it in the most efficient manner. Thus, costs are lower. Many also provide computers, scales and software. Using their gear automates the creation of labels, packing slips, and barcodes. This streamlines the shipping process and helps prevent errors. Further, it saves you the expense of purchasing these things on your own. In most cases, the insurance provided by carriers is considerably more expensive than coverage you can get from a shipping insurance provider. Experiment to find the smallest and lightest packages capable of keeping items safe in transit. Test-ship new products to yourself to make sure they arrive intact. Also, when you receive shipments, save those packing materials and reuse them, rather than buying new supplies all the time. Fulfillment services spread the fixed costs of shipping over a number of different customers. This can mean considerable savings for you, as they’ll provide labor for picking and packing. What’s more, because they do so much volume, they get significant discounts from carriers. These four tips will help adjust your pricing to incorporate shipping costs. This will enable you to offer a free shipping option for customers willing to give you a bit more time to get the item in their hands. In this way, reducing shipping costs increases sales. Another cost reduction measure is to leverage one of the ecommerce platforms offered by Yahoo Small Business. They can have your online store up and running in far less time than you can imagine—at minimal expense. Try it today!